Let's take a moment to explain the new email footer... First off, we didn't come up with this idea, we simply loved it. While we love discussing our business practices, we have no time to deal with the attacks of Social Justice Warriors who want to crucify companies for saying something that they disagree with. In that line of thought, we wanted to produce the facts behind why we make the statement and why we stand behind it. If you disagree with the facts or the manner in which they were acquired you should probably be contacting someone else at the links below (like Statistics Canada). 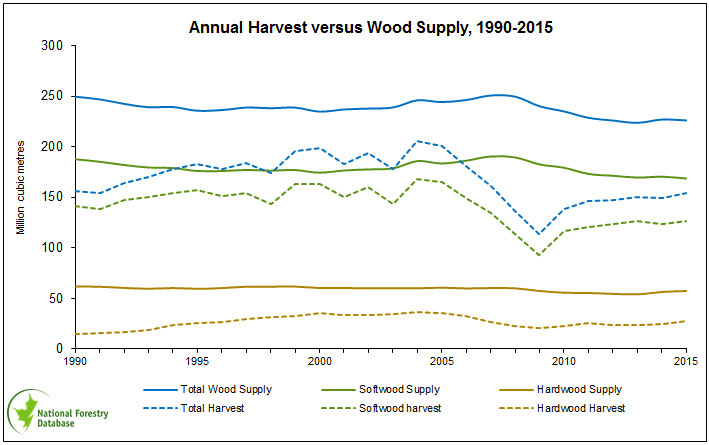 If you want to argue about whether the forestry industry is of any benefit to Canada and Canadians, you will find nobody here with time to listen to you. We have done work for every type of client imaginable and we take pride in doing what is right even if it is not popular. We truly believe that supporting Canada's forestry industry is almost as important as protecting our forests. Since we are doing such an amazing job of supporting our forests, we thought it was about time that people saw something that supported our forestry industry as well. We have all seen the email footers that tell you to think before printing an email and we believe that is a good thing, but your thoughts should be based on whether printing that email will help you be a more productive team member and not about protecting a tree. If the answer is yes it will make you more productive, then by all means, print the email and then recycle it when you are done with it. "Forestry provides jobs for over 300,000 Canadians and pays $9.7B in wages" that are directly and indirectly employed by the forestry industry. "It is illegal to harvest a tree without replacing it" is not actually a law but covered by federal, provincial and territorial regeneration standards and regulations. ​Canada "has one of the lowest deforestation rates in the world at 0.3%" is a statement from the federal government who we shouldn't always trust but have not seen refuted numbers anywhere yet. "Every year Americans plant 42% more trees than they harvest" comes from a well-written 2011 article on the Mother Nature Network by Starre Vartan. Not all of this forest growth is attributed to planting but the majority is newly planted and regulated natural growth. "Only 6% of Canada's forests are privately owned" is an amazing statistic for a country that is 35% forested land. Canada's National Forest Inventory has some amazing information as well. After all that, if you still think that we need to stop cutting down trees and stop printing so much on paper we have a differing on opinion that simply might not be overcome. If you disagree with the facts though, that is a much larger problem that you are going to need to figure out how to live with because those are simple facts. Canada has almost as much forested land as it did 25 years ago and we need to do more to support our forestry industry.